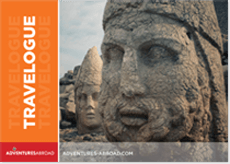 Armenia Travel Tours : Landlocked in southwest Asia, this is a country with a long and fascinating history and splendid natural attractions, resulting in it quickly becoming an increasingly popular tour destination. Though technically located in Asia, Armenia is also at times considered part of Europe. Its geographic position wedged between the two continents has meant that its culture has both borne an influence on, and been influenced by, Europe and Asia alike. For example, it was the first country on the globe to adopt nationwide the western religion of Christianity when it did so in about 301AD, and, due to its locale, has proved an attractive prospect for a host of Eurasian nations through the ages and has been subject to invasion from, among others, Greeks, Romans, Arabs, Turks and Mongols, all of whom have left indelible marks on the culture and landscape. Few countries can boast so diverse an amalgam of influences and the Armenia of today is the incorporation of a multitude of Eurasian characteristics to form a wholly unique and distinctive cultural environment. For those with even the slightest interest in architecture or history, our trips to Eurasia are a must. 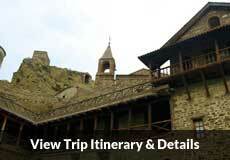 Check out our Armenia travel options!